The Army & Navy stores began as a co-operative society known as "The Army & Navy Co-operative Society" and was formed in London in 1871 by a group of army and navy officers. The intention was to supply "articles of domestic consumption and general use to its members at the lowest remunerative rates". The first store opened in London in 1872 for the sale of groceries and expanded to include goods as diverse as drapery, drugs, fancy goods and guns. Items useful to the military man such as campaign furniture and sporting goods were also supplied. 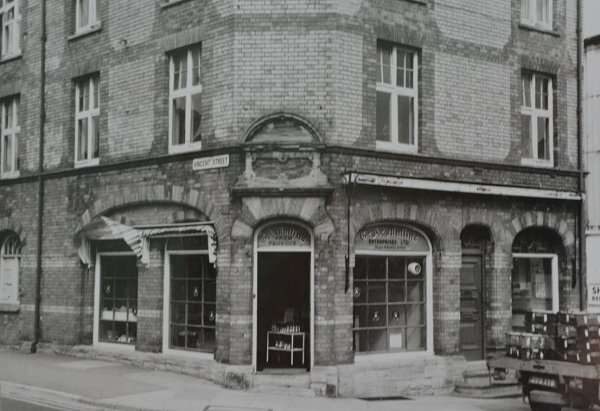 The Yeovil branch opened in the early twentieth century in Vicarage Street, on the corner of Vincent Street opposite the Albion Inn. 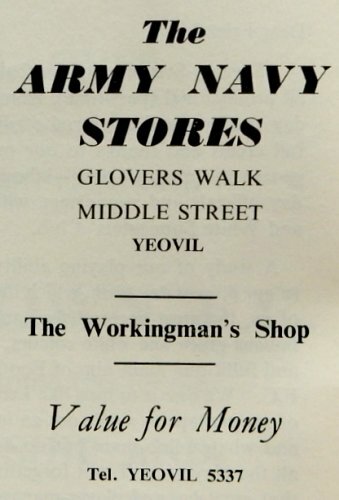 Although not proven, it is likely that the Army & Navy Stores moved into the Vicarage Street premises when the Crewkerne United Breweries put the premises up for let in August 1904. After the Army & Navy stores quit the premises it was taken over by GA Mullins, farm produce. 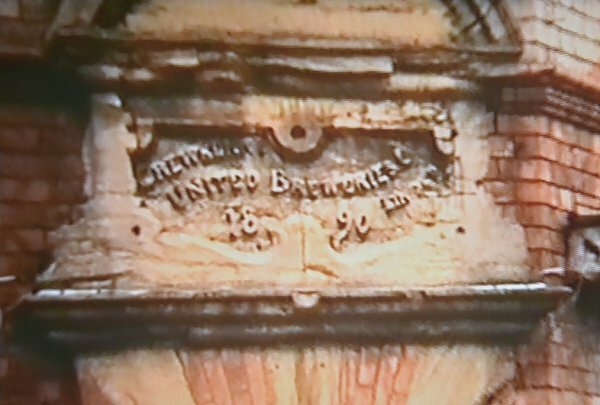 The building that housed the Army & Navy store was built in 1890 by the Crewkerne United Breweries as witnessed by the datestone photographed below. 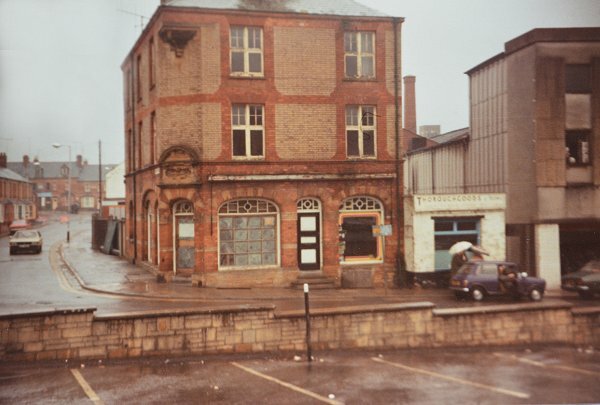 The brewery already had premises in Vicarage Street where they had an outlet for wines, spirits and ales and the building in question was built as replacement premises. 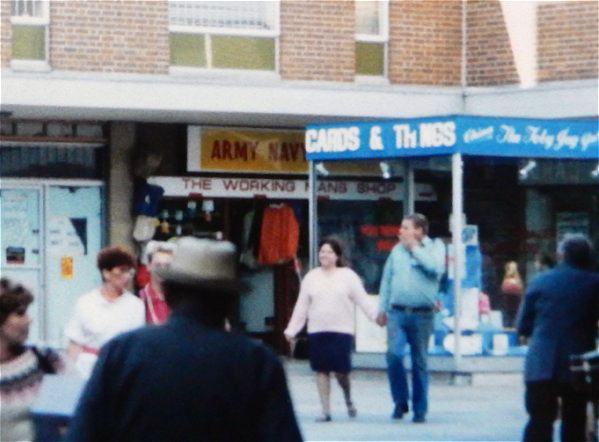 In 1971 the Army & Navy Stores relocated to Glover's Walk and the Vicarage Street building was demolished, along with the rest of Vicarage Street, for the creation of the Quedam Shopping Centre in the 1980's. 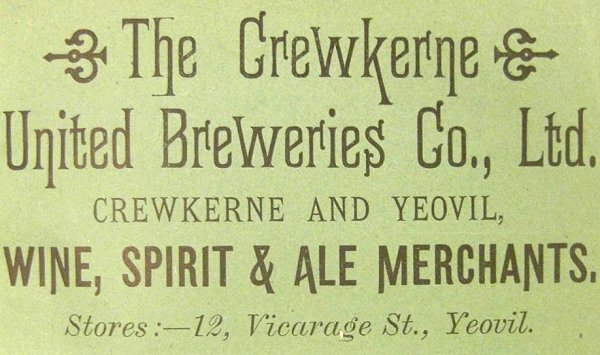 This advertisement is from then 1897 edition of Whitby's Yeovil Almanack Advertiser and shows that the Crewkerne United Brewery had pre-existing premises in Vicarage Street. 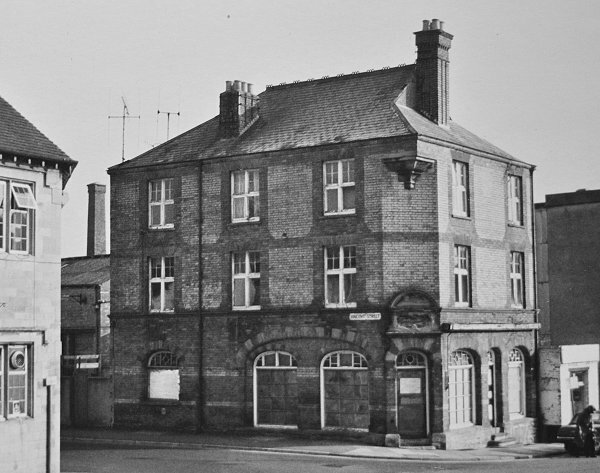 The new building, later the Army & Navy Stores, would replace the brewery's original premises three years later, in 1890. 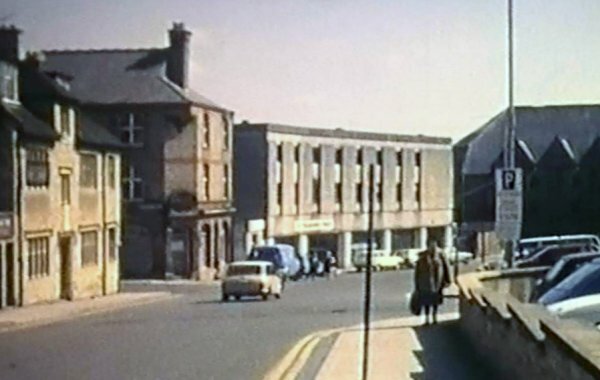 A still taken from a home movie of the early 1960s, seen above the corner doorway in the previous photograph, dates the building to 1890. Notice of letting placed by the Crewkerne United Brewery for the premises in the 31 August 1904 edition of the Taunton Courier & Western Advertiser. The Army and Navy Stores, at right, on the corner of Vincent Street. Photographed from Vicarage Street in the mid-1960's. The Army & Navy Stores advertisement in the 1970 Yeovil Town Guide. By the time of this advertisement of 1971 the Army & Navy Stores had moved to Glover's Walk. The Army & Navy Stores building - at the time of this photograph the premises were occupied by GA Mullins, farm produce. 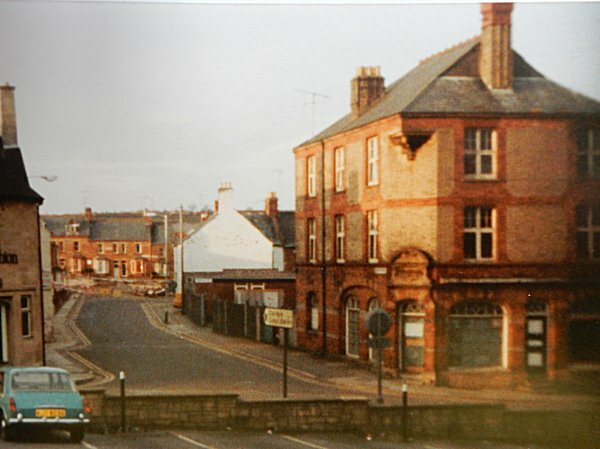 Looking eastwards towards the bend in Vicarage Street in the late 1970s. At extreme left is the Albion Inn, then the junction of Vincent Street, on the opposite corner was the building that had been the Army & Navy Stores. 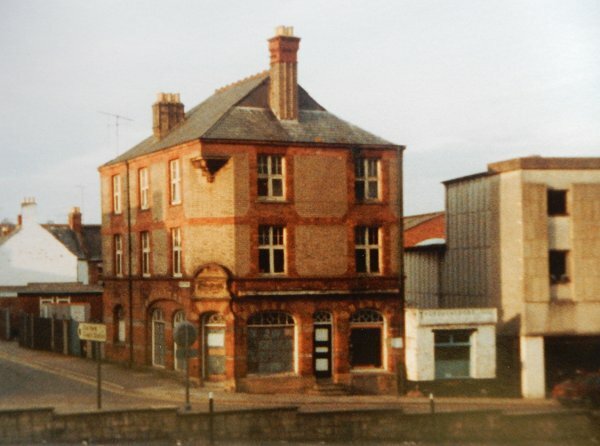 The modern building at centre had been Neal & Williams Ltd premises which, during the Second World War, had been the venue for the Yeovil War Workers Club. 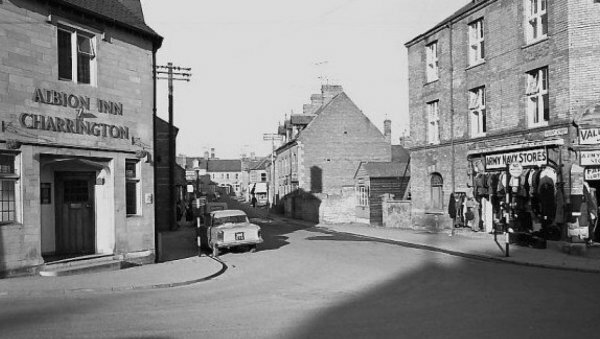 Next was the entrance to the Council's Town Yard and finally, at right, the Methodist church - the only building in this scene that remains today. 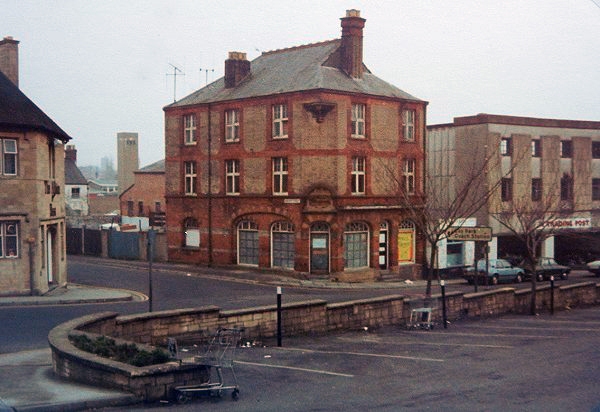 The Army & Navy Stores building photographed in 1983 from Vicarage Street car park. At left is Vincent Street and at right Thoroughgood's tiny (shoe repair?) shop next to Neal and Williams builders merchants. Vincent Street with the old Army & Navy stores empty and boarded up, photographed in 1983. .... and a more frontal view, photographed in 1983. Photographed in May 1983, shortly before demolition. .... and photographed from Lipton's Arch, Frederick Place, in 1984. 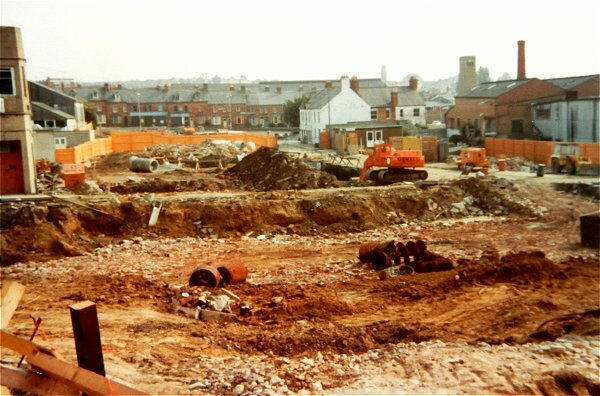 Both the Albion Inn (at centre) and the old Army & Navy store on the opposite corner of Vincent Street (at right by the orange fence) have been flattened. After moving from Vicarage Street, the Army & Navy Stores moved to this outlet in the northwest corner of the central open plaza in Glover's Walk.